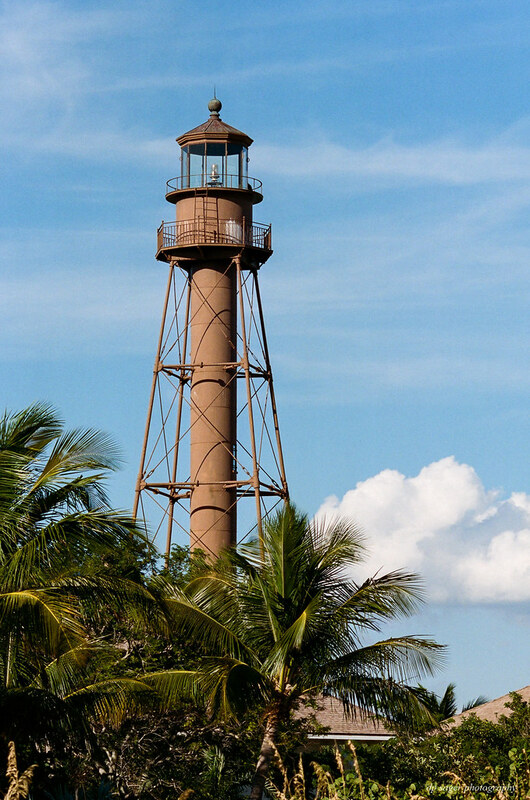 The Sanibel Island Light (or the Point Ybel Light) was one of the first lighthouses on Florida's Gulf coast north of Key West and the Dry Tortugas. Sanibel Island was the site of a small colony started by the Florida Peninsular Land Company in 1832. The island's name comes from the shortened and mispronounced name Santa Isabella, said to have been given to the island by the pirate Jose Gaspar to honor the Queen of Spain. 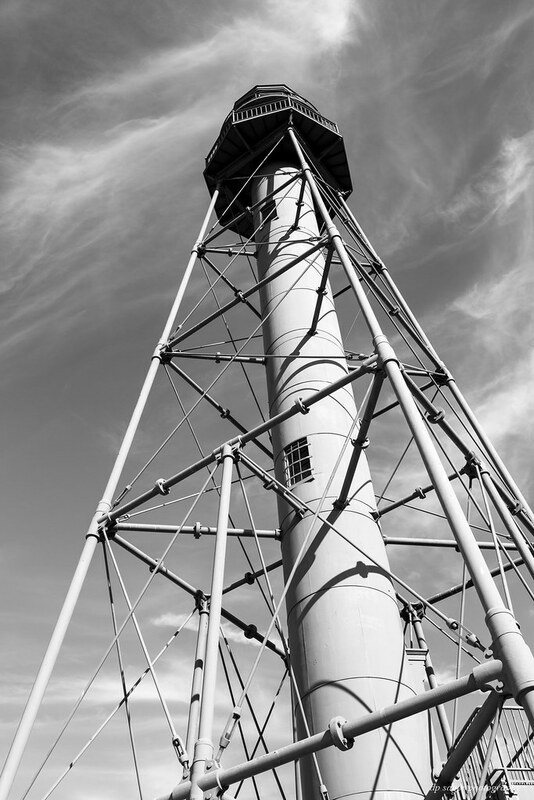 First lit on August 20, 1884, the 98-foot tall iron skeleton tower closely resembles the current Cape San Blas lighthouse tower. Both towers have a central spiral staircase beginning about 10 feet above the ground. Kodak Portra 400, used for most of the images in this post, is a family of daylight-balanced professional color negative films originally introduced in 1998, made mainly for portrait and wedding applications. Portra is a successor of the professional Vericolor films (VPS and VPL), which succeeded earlier Ektacolor films. Kodak advertises the scanning performance of Portra as a feature, based on the assumption that most prints today are made from digital scans after digital adjustments. All images in this post were processed in Adobe Lightroom, both the digital RAW files and the scanned JPEGs. 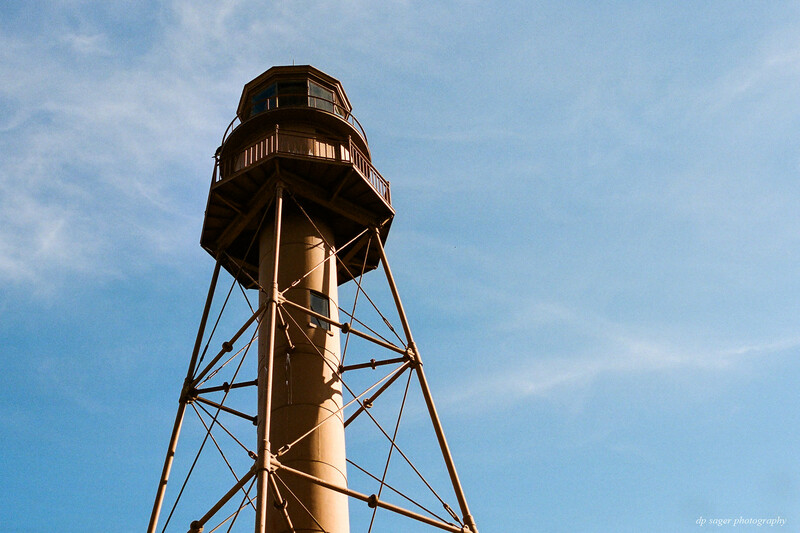 During World War II a lookout tower was built south of the lighthouse. The lighthouse itself couldn't be used, since even with a wartime "dim out" in effect, the light from the tower would have blinded the night lookouts. 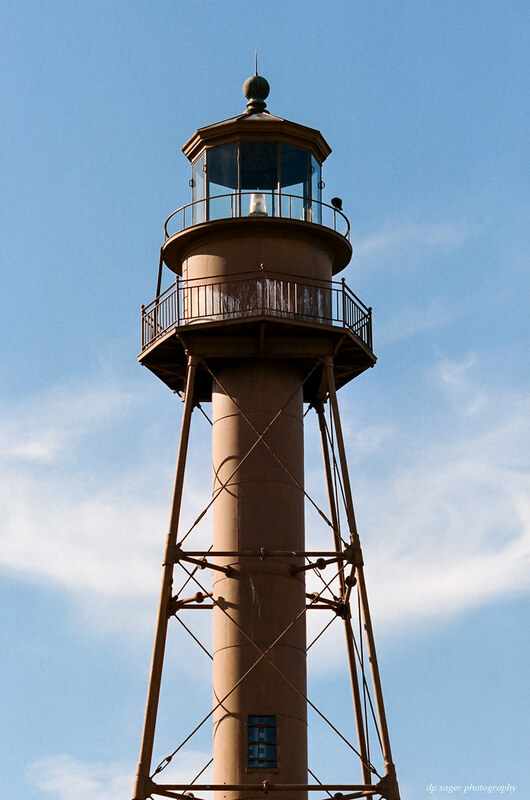 The lighthouse was placed on the National Register of Historic Places in 1974. 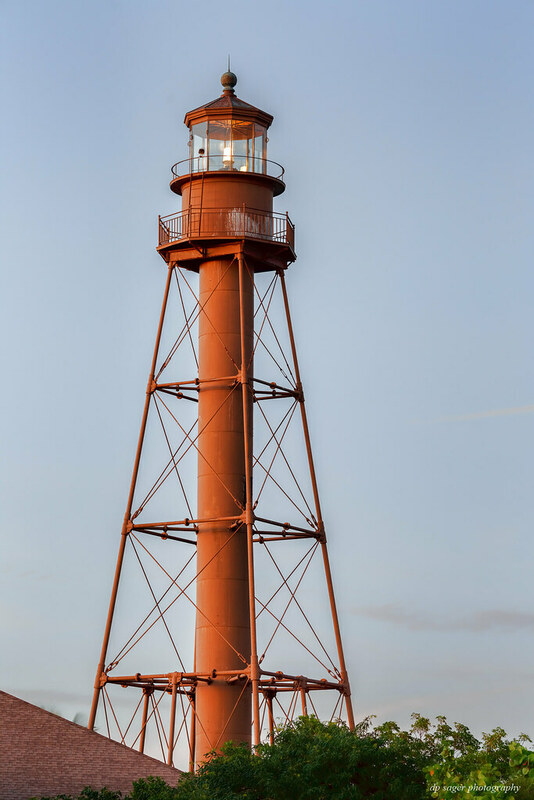 The City of Sanibel now owns the Point Ybel tract and structures, although the tower is still operational under U.S. Coast Guard control. Images from this post were captured with a Canon EOS 5DIII and an EOS 1v using lenses: EF 35mm f/1.4L USM, EF 50mm f/1.2L USM and EF 135mm f/2L USM. Processing and scanning of the Kodak negatives was performed by North Coast Photography Services of Carlsbad, CA. The images are sized to fill your wide-screen display. Try using <F11> to maximize your browser window for the full effect. If the images overshoot your display, such as a laptop, just click on the image or the URL link and they'll resize to your screen from the host Flickr site. You can click a bit further into the image details on the Flickr page, if desired. EXIF data is available from the host Flickr pages as well. On the Flickr site, use your <L>key for Large and the <F11> for the full-screen. I like how you worked this fine subject. Once again👍🏻! Have seen it many times. Thank you! Thank you Jerry, Earnest, Karin, Longshadow, Eric, Dr J! If you like lighthouses, I visited 5 over the course of my recent travels. The mixture of film and digital here prompted a more detailed analysis of film vs digital now in 2019 that I hope you'll find interesting. Nice shots of one of my favorite places. Great set Paul. I have some great memories of Sanibel-Captiva. You have really captured the lighthouse and surrounding beautifully in #4. I wasn't aware of the history. Thanks for sharing.